The eras of nations are often remembered by one single person or one act of greatness. When one says 'America in the mid-1800s', the first thought that springs to mind is Abraham Lincoln. Similarly we might qualify Germany between the wars as the period of Hitler; and Britain's eras are often defined by the emperor or queen at their throne. All of these happen to be politicians of some stature. Years on from now, when we look back at India at the turn of the millennium, we will be saying that was "the era of Sachin Tendulkar". It might be because of a weak political leadership, or because the nation was going through a transformation during these times; but even without that, no other person single-handedly ever captured a nation’s imagination as this gentleman did. 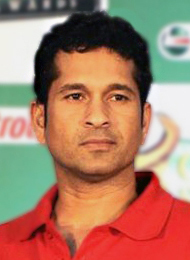 There have been great sports persons, there have been great people and then there was Sachin Tendulkar. In the later stages of his career, his greatness was no longer dependent on whatever he did on the cricket field. He was already immortalized. We often wonder why? Why do we idolize this man so much? Why are those two sixes off Michael Kasprowicz so legendary as compared to the many that have been hit thereafter (admittedly Ten Sports had a big role to play here making sure we won’t forget those two Sharjah innings). Why does that upper cut six off Shoaib Akhtar at the Centurion make everyone go gaga? Probably today, every IPL match must now be seeing at least one square cut for six. Way back in 1994 (or thereabouts), like all kids playing cricket with themselves, a nine-year old kid (me) had created an imaginary scorecard. Sachin had scored 189*, poor Kapil Dev was the next highest with 24. Somehow that memory stuck while I smile at myself in the years gone by at the ridiculousness of that scorecard. As I look back now, that scorecard didn’t seem way off from reality. It just epitomized the hope and prayers the nation had when Tendulkar stayed at the crease and answered questions of why we idolize him so much. Match after match in the late nineties, we waited for Tendulkar to come in to bat, can we forget the mixed emotions when he was on strike. One part of us, cheering every run or boundary hit by him; while the other praying in agony for him to get off strike so that he won’t be out. We used to showcase an absolute frenzy of emotion while he was batting and plummet to the depths of despair once he got out. We got attuned to the fact that the entire nation’s hopes were effectively on Tendulkar and once he got out; there wasn’t much hope in chasing a target. That thought was fed by the 1996 semi-finals, the 1999 test match in Chennai against Pakistan and many others. While this seems disrespectful to his team-mates in the nineties, it is not intended to be as such. That is just how we remember those days. It is only in the new millennium we began to believe in the possibility of winning after his dismissal. The colossal Laxman-Dravid partnership at Eden Gardens and the destruction of English attack by Yuvraj-Kaif were a couple of such instances. He got injured for a period after which he accepted his mortality and played accordingly even whilst we yearned for him to play like old. No other elbow has got more people asking ‘what is a tennis elbow’. Over time, we accepted that Tendulkar now had excellent support and was a good batsman in a good team. Time and again, he reminded everyone of what he was capable of – the 2003 World Cup was his highest peak in the new millennium, the destruction of Australia in a near-impossible chase at Hyderabad (2009), the 2011 World Cup too where he was India’s highest run-getter. With the emergence of the new generation – the Rainas, the Dhonis, the Kohlis along with Yuvraj; we no longer absolutely imperatively needed Tendulkar as a cricketer. Others could now win matches for India. However, we continued to cling to him as an idol with the belief that once more we will see the Tendulkar of yore. Still, get the same amount of joy when we see a straight drive or a leg flick from his bat than any other. And that, while accepted to be irrational, we millions as a nation continued to unabashedly idolize him all throughout his career. And as he announces his retirement, whether we weep or rejoice or ask questions about whether it came too late, it doesn't really matter to those who grew up worshipping him. We just understand this signifies the end of an era. In the last 24 years, people have grown from children to full-fledged adults, got married and had kids. The number of cricketing careers which started after Sachin and ended before his retirement would be an interesting statistic to come up with. It might be a startling figure. India saw a series of economic reforms; and also became a nuclear power in the nineties. The man, who was finance minister two decades ago, is now the prime minister. The triumvirate of Khans’ who started their fledgling career back then, are now absolute veterans of the Bollywood industry. We as a nation became much more consumer driven and got used to the world of colour TVs and mobile phones. The internet grew till it became the most important thing in many of our lives. All of this happened in “the era of Sachin Tendulkar”. And now what? Time will go on. The master will get a grand farewell in his last two test matches and numerous felicitations after that. We will get on with our lives. Dhoni, Kohli and the like would continue to play cricket and evoke interest and enormous fan following from the audience. But there is unlikely to be another to evoke the kind of emotion only Tendulkar did. Years from now, with frail limbs and failing eyesight, somewhere some of us will be sitting in our rocking chairs with a hint of a crooked smile, reminiscing in old memories and telling our grand-children, “I saw Sachin Tendulkar bat”. PS: Here is a link to a post written after watching his innings of 175 at Hyderabad in 2009 against Australia. I was just giving examples, not intending to state that we have no other eras of non political personalities. The other comment is when you look at sports - you might say Tennis in 2000s was a Federer-Nadal era; or a Sampras-Agassi era. I doubt we would think of countries like Switzerland/Spain defined by these people. In case of Pele, Messi maybe yes for their nations too, I don't know.